VATICAN CITY (Reuters) – The all-female staff of the Vatican newspaper’s monthly magazine on women’s issues have resigned abruptly en masse, saying the new editor was trying limit their autonomy and put them “under direct male control”. “Women Church World” has run a series of controversial stories, including on the sexual abuse of nuns by priests and nuns working for free as servants for bishops. Lucia Scaraffia, who started the magazine seven years ago, has called for a Vatican commission to investigate sexual abuse of women in the Catholic Church. In an open letter to Pope Francis, she said the 11 women felt they were being “reduced to silence” and denounced an attempt to “return to the antiquated and arid custom of decisions from above, under direct male control”. The women will also explain their decision to quit in an editorial next month. Copies of it and the letter were made available to Reuters by one of the members on Tuesday. 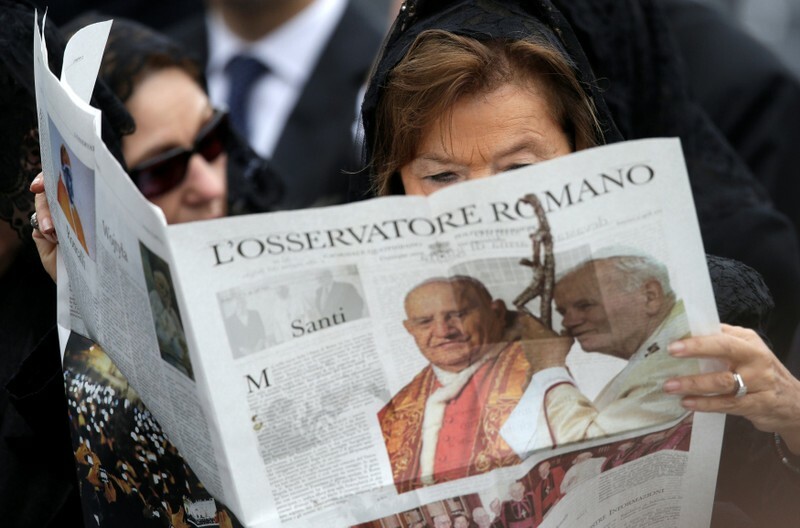 In a statement, Andrea Monda, who became editor of newspaper L’Osservatore Romano three months ago, denied the accusations. He said he had guaranteed the women “the same total autonomy and same total freedom” the magazine had previously enjoyed and had only made some suggestions about story ideas and people to involve in them. Monda, a layman, said he has confirmed the magazine’s budget despite cost-cutting elsewhere in the Vatican’s media operations. He rejected accusations that he was seeking a return to “self-referential clericalism” and said “Women Church World” would continue to be published. The resignations were the latest in more than a year of upheavals in the Vatican’s communications department. The previous editor of the Vatican newspaper, Giovanni Maria Vian, a close friend of Scaraffia, was abruptly replaced by Monda on Dec. 18. The same reshuffle of the Vatican’s Secretariat for Communications saw Italian journalist Andrea Tornielli, a friend of Pope Francis, named editorial director of all Vatican communications. On Dec. 31, Vatican spokesman Greg Burke, an American, and his Spanish deputy, Paloma Garcia Ovejero, resigned over disagreements on overall communications strategy. Monsignor Dario Vigano resigned as overall head of Vatican communications in March after a scandal over a doctored letter he distributed to journalists.